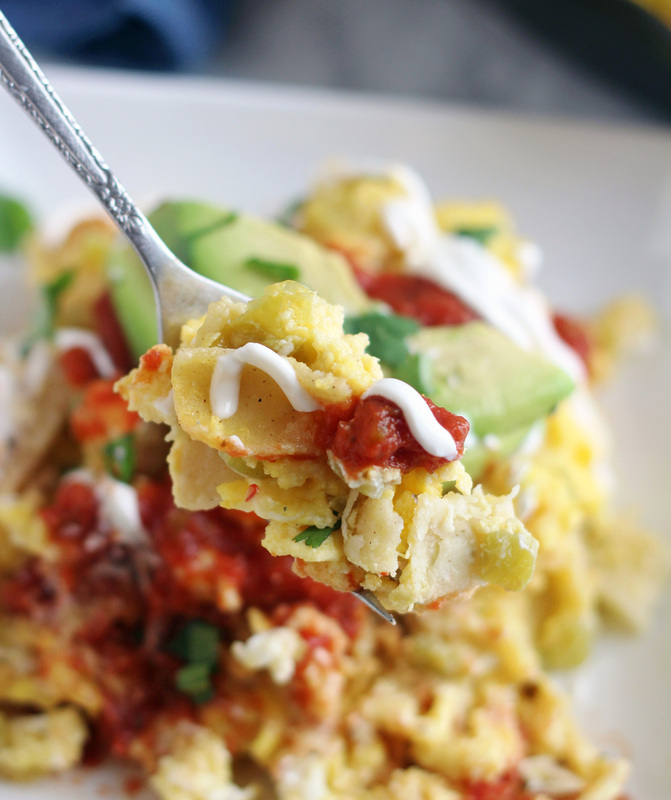 These Quick & Simple Migas are quick, easy and so delicious! Done in less than 20 minutes, they’re a perfect dinner for when you’re in a pinch or even when you’re not. 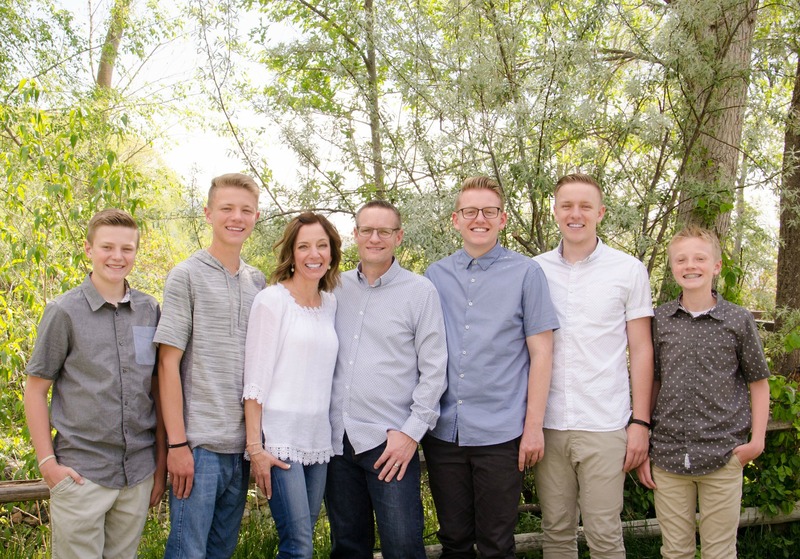 Have you ever heard of them or tried them? 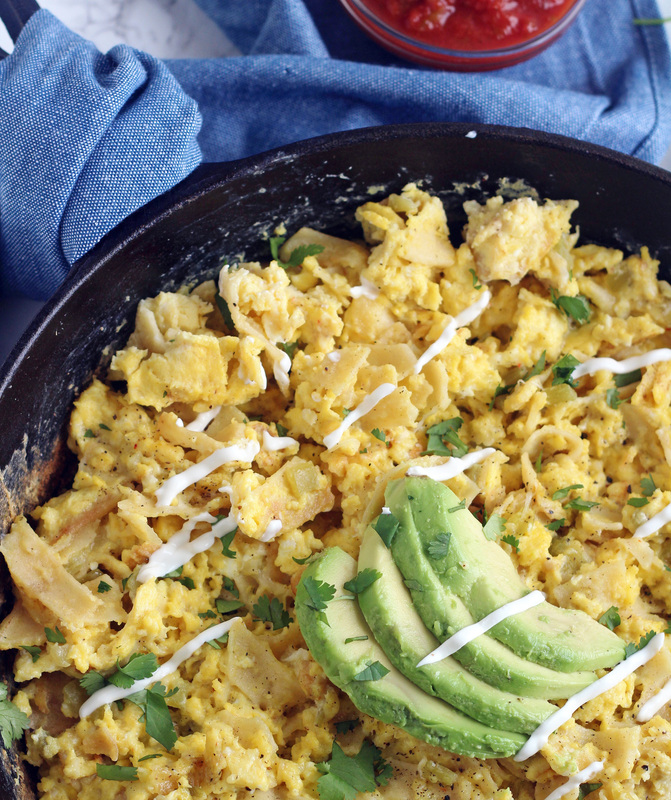 We honestly can’t get enough of these Quick & Simple Migas. It seems that every time I make these, I never get pictures because we’re too busy shoveling them in our mouths and there is never any left. This is a meal we all could eat every week. Not even one of us only “kinda” likes these, we all LOVE them. 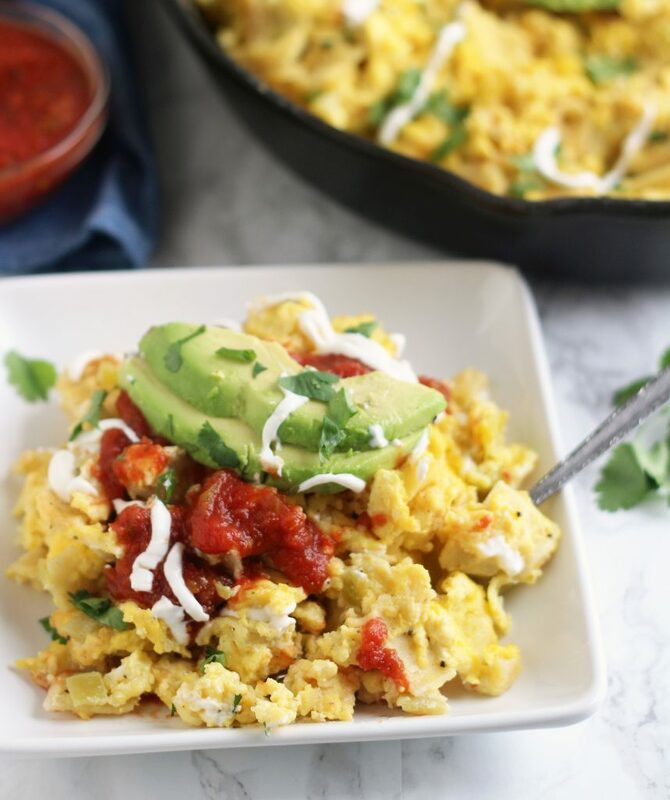 I’ve never had true, authentic Migas, so I have no idea how close these are to being the real deal, but they’re delicious so I’m telling you to please make them! You’ll thank me later. These come together in less than 20 minutes, so they are a lifesaver of a meal. Because these use corn tortillas, they’re also gluten free. While these obviously would make a fabulous breakfast, every time I’ve made them, it’s been for dinner. With some fruit served along side with them, it’s the perfect, quick, simple and absolutely delicious meal. As I’m sitting here typing these, I thinking a side of refried or black beans would be delicious with these. Definitely will be trying that next time. Whisk together the eggs and half-n-half and set aside. Melt the oil in a large 10-12 inch skillet. Saute the cut tortillas strips and over medium low heat, stirring frequently until the tortilla strips start to get golden brown on the edges (about 10 minutes). Add minced garlic and onion powder and cook, 1 minutes stirring constantly. Pour eggs over the tortillas and cook until eggs are cooked, stirring occasionally. Add the grated cheese and green chiles. Stir gently until well combined and cheese is melted. Season with salt and pepper to taste. Sometimes I use pepper jack and sharp cheddar cheese in these. Feel free to use whatever you cheese you like, but I highly recommend using at least some pepper jack. You can certainly cook the tortilla strips until they are a deeper brown, making them crispier. We actually like them getting a little soft in the migas. It's a personal preference here my friends. A lot of recipes I saw for Migas call for diced red and/or green bell peppers, which you could add in and cook the last few minutes with the tortilla strips. I just wanted to keep this recipe simple, with as little chopping as possible involved :). This was delicious! It will be in my regular “breakfast” dinner rotation for sure!